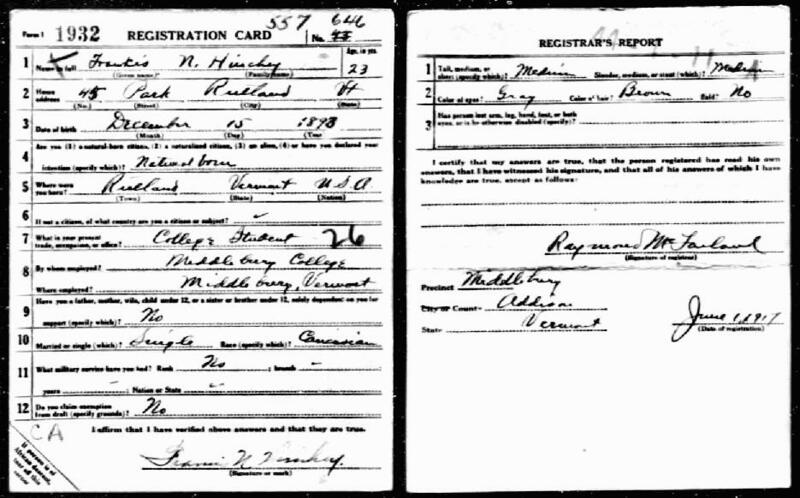 Francis Nathaniel Hinchey1,2,3,4 [Frank Nathaniel Hinchey5,6,7,8]. Born Dec 15 1893, Rutland, Rutland County, Vermont.1,2,3,4,5,6,7,8,9 Francis and Frederick were apparently fraternal twins. 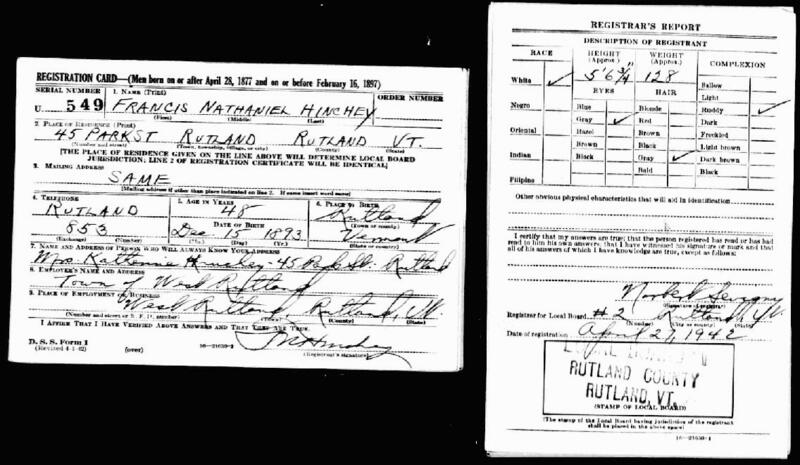 1930 census, Rutland, Rutland County, Vermont; roll T626-2430, ED 42, page 10B, line #91, dwelling #181, family #236. 1900 census, 11th Ward, Rutland, Rutland County, Vermont; roll T623-1693, ED 184, page 1A-B, line #47, dwelling #9, family #13. 1910 census, 11th Ward, Rutland, Rutland County, Vermont; roll T624-1616, ED 201, page 15A, line #42, dwelling #205, family #254. 1920 census, 11th Ward, Rutland, Rutland County, Vermont; roll T625-1875, ED 134, page 14B, line #68, dwelling #142, family #281.